The Minn Kota 220D 2-bank on-board charger provides you with charging flexibility and multiple options to meet all your trolling requirements. 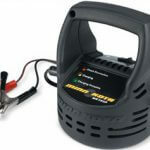 It features a waterproof, shock and vibration-resistant construction, and its automatic temperature compensation delivers fast charging recovery, even in extreme conditions avoiding overcharging. This charger makes use of on-board mounting that eliminates the hassle of traditional portable chargers. 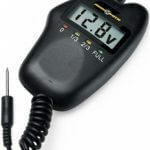 The Minn Kota 1820087 MK-BM-1D digital battery meter effeciently monitors the voltage level and “state of charge” of any 12-volt battery. It features an LED display mounted on a compact frame that indicate full, 2/3, 1/3 or “state of charge”. 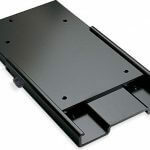 The Minn Kota 1854013 aluminum quick release bracket facilitates convenient, quick removal of any PowerDrive™ or PowerDrive with AutoPilot™ trolling motors. 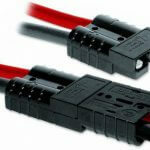 The extruded aluminum design with a sidescrew provides a quiet and secure locking system. 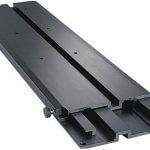 This bracket is easy to install and offers flexible functioning. The Minn Kota MKA-18 is an 18″ extension handle for all types of hand control motors. It attaches easily to the trolling motor’s tiller handle and provides easier steering and speed control. For quick, easy removal of your Fortrex or Maxxum bow-mount trolling motor. Extruded aluminum design of these brackets features a side screw that provides a quiet and secure locking system. Fits 52″ and 62″ shaft foot control motors and 62″ shaft hand control motors. NOTE: Fits 52″ & 62″ Shaft Foot Control Motors & 62″ Shaft Hand Control Motors ONLY. 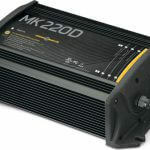 The Minn Kota MKA-7 is a 30″ extension handle for all types of hand control motors. It attaches easily to the trolling motor’s tiller handle and provides easier steering and speed control. The Minn Kota 1865101 MKR-12 quick connector plug is used where a plug and socket can’t be used. 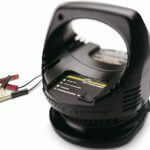 The Minn Kota 1865107 MKR-20 Trolling Motor Plug is a heavy-duty connector that has positive snap-lock design for 6 to 12 gauge wire. 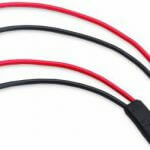 It includes 2 plug halves, 4 contacts and 4 solder plugs for securing wire leads into the contacts.